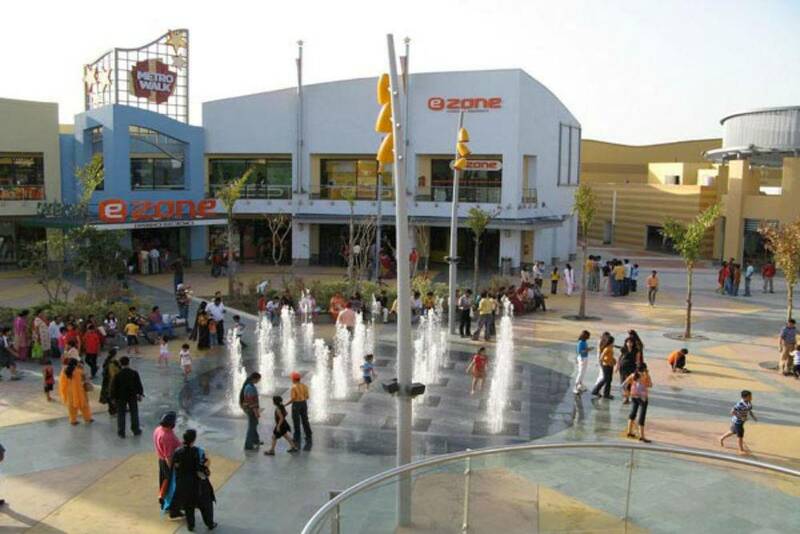 A paradise for shoppers, Delhi’s commercial places are some of the best places to go on a shopping spree, from affordable items to high-end luxury goods, these marketplaces of Delhi will entice and lure any shopaholic. From antiques, fashion brands, leather goods, jewelry, handicrafts, fabric material, furniture, rugs and carpets, and more, Delhi’s markets are equipped with everything. Let’s check out some of these fantastic shopping places in Delhi. The best part about shopping in Delhi is that everybody can find everything. While at one side you can find swanky malls with biggest fashion brands, on the other hand you can also see hawkers selling clothes selling for as cheap as 200 rupees. Where on one side there are shopping plazas with quick service restaurants, you can also find people in queue at the local burger shop in the market. That’s the fancy of shopping in a city like Delhi. If you’re especially coming in to soak in the shopping galore, there are several Mumbai to Delhi flights or trains from Kolkata, which can be boarded to reach the destinations. Let’s take a look at some of the best shopping hubs in the city. Chandni Chowk – One of the biggest and perhaps the oldest marketplaces in the city, the Chandni Chowk is one of the charming places in the walled city. Situated just opposite the Red Fort, this centuries old market place is filled with several shops, big and small, and lanes dedicated to a particular kind of item. You can find people from all corners of the city buying fabrics, perfumes, jewellery, spices, electronics, heavy machinery, motor parts, construction goods, cheap replicas and other wholesale items. Chandni Chowk is also dotted with several amazing eating joints famous for bhalle papdi, chaats, local snacks and sweet shops. Delhi Haat – Situated in Kidwai Nagar, the Delhi Haat is a great place to enjoy a wide variety of handicrafts. Quite popular amongst international tourists, it is a nice place to spend your day exploring the wonders Indian artforms. The market also has several eating joints, divided according to different states of India, you’ll find delicacies from all over the country. Delhi Haat also organizes special attractions depending on ongoing national and religious festivals and you can enjoy the flavours and decorative items from that particular culture. Connaught Place – Lying at the heart of the city, Connaught Place or Rajiv Chowk, is one of the biggest shopping hubs in the city and sees more than a million visit during weekends. The hub is dotted with various departmental stores and branded showrooms. Popularly known as CP, the marketplace is circularly designed by the English architect Edwin Lutyen and used to serve the market place for the British officers and family. Apart from shops, Connaught Place consists of several fine dining places and pubs. Even the surrounding areas are famous for shopping, like Janpath, Gupta Market, Gole Market and Palika Bazaar. On the same path, there are other markets in the city like Greater Kailash M Block, Defence Colony, Lajpat Nagar, Sarojini Nagar and Rajouri Garden, which sees a heavy local crowd. Opt for holiday packages, if you’re looking for a tour of these fantastic shopping places.